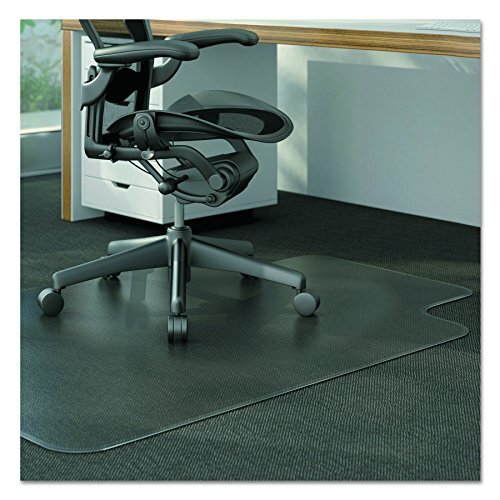 Clear, vinyl chair mat provides maximum durability to protect flooring from caster wear, spills or heavy traffic. Easy-glide rolling surface provides effortless mobility. Studded bottom surface offers superior gripping power on carpeted floors. Delivers protection for low pile carpets up to 3/8” thick. Non-phthalate, non-cadmium formula produces an exceptionally clear mat.